For common sales management tools go online or to any bookstore and you will find "experts" that want to sell you on high-priced consulting, high-tech platforms and systems. You can spend thousands of dollars to obtain detailed analytics, backed by selling psychology, strategies and theories. "Thanks so much for offering free leadership tools. I'm just now in the process of developing a succession planning strategy for my organization and I am expecting to leverage the tools and information from your site frequently." So what tools do you need and where do you acquire tools that will help to get the best results? That’s where we come in. The problem is that so many sales 'experts' talk strictly in theory and fail to actually provide proven sales tools that work in the the real world. Or, once you buy their tools, it's so difficult to apply that you need to add another full time employee just to figure it all out. They lead you to the vault but they fail to give you the combination to open it. Ideas are great, but great tools paired with motivation and action, are what get the job done. So let's get started. It's time to fully engage the minds and hearts of your team members. It's time for you to shake things up a bit. Now is the perfect time to try something new and different, and encourage creativity from within your team. When was the last time you introduced a new sales tool? Do you work to inspire creative ideas and new approaches to enable your team to tackle issues head on? 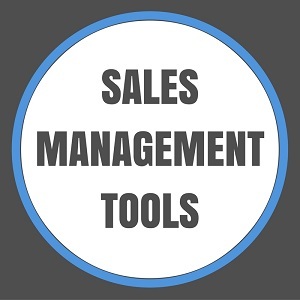 Quality sales management tools are something that you can see and touch. The best tools are easy to understand and can quickly be put into practice. Before adopting a new tool, be sure that the action steps necessary for success are Specific, Measurable, Achievable, Realistic and Time sensitive (SMART). We know and understand how much pressure there is for you and your team to consistently improve sales results. At virtually all sales-focused companies, the pressure is constant to always do more. While we could waste time wondering when the pressure will ever end, the truth is it never will. But you can make your life easier by identifying simple yet effective sales management tools that provide a support system for your efforts. Here just a few of our free tool options. Achieve work-life balance. Be at your best, by creating a well-rounded life experience. Ensure success by creating a master action plan for your team, and for your life. Use our proven business letter templates for hiring, firing and more. Inspirational sayings and quotes help to support key sales-focused messages. Learn and grow by reading recommended books on sales management. 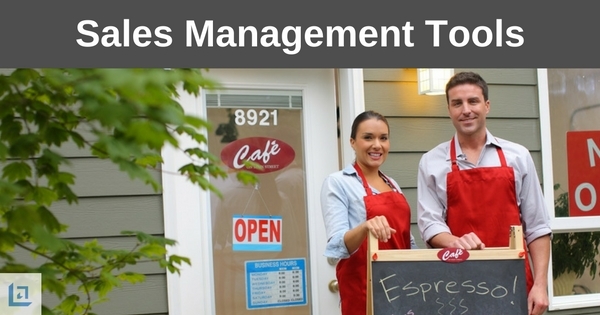 Read insightful articles on sales management best practices. In a market-driven society we quickly learn that we are either growing, or falling behind. The 'falling behind' part comes as a result of our competitors running right past us at lightning speed if we don't maintain our competitive edge. So, we choose to grow ourselves and our sales results, right? Using the tools provided here is a great way to get started. Our goal is to provide quality tools that Ready-to-Use that can be quickly implemented. Most importantly, our leadership and sales management tools will help you to become a better leader and support your team in achieving real results. "In motivating people, you've got to engage their minds and their hearts. It is good business to have an employee feel part of the entire effort...; I motivate people, I hope, by example - and perhaps by excitement, by having provocative ideas to make others feel involved. We believe that the more high quality sales tools and resources you become familiar with, the more successful you will be. Success in making sales is measured by the on-going satisfaction of your customer. Always add value, and never take the customer for granted. We hope you find value in the sales management resources provided here to grow and further develop your sales and leadership skills. Remember to visit us often, subscribe to our monthly newsletter, follow our blog or social media sites to ensure you receive all new sales and leadership tools. All the best in your leadership journey!